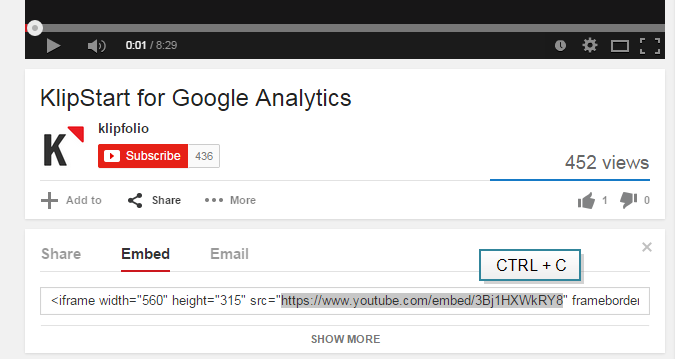 How to add a YouTube video to an Inline Frame component – How can we help you today? 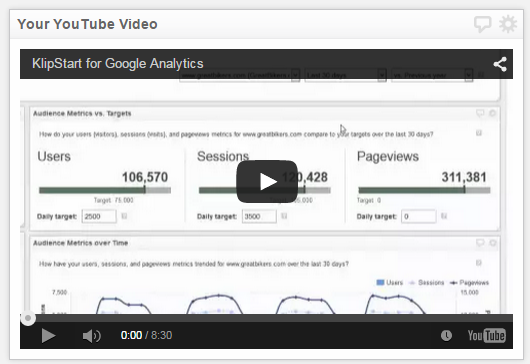 Display a YouTube Video on your dashboard by adding the video's URL to an Inline Frame component. 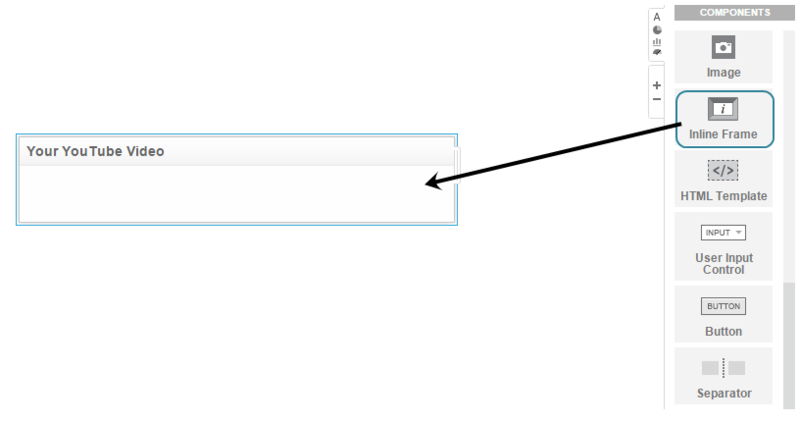 The Inline Frame component is useful for displaying web content. For more information, see How to build Inline Frame components. In the Klip Editor, drag an Inline Frame component into the Klip workspace. Drag the Inline Frame component into the Klip workspace. The Data panel automatically appears. Height Choose from Small to Very Large. Or, select Custom, and adjust the height in pixels. For example, 400 px. Refresh Choose an appropriate refresh rate.